A healthcare system can be defined as the organization of people, institutions, and resources that deliver healthcare services to meet the health needs of target populations. Worldwide we have a diverse variety of complex, arduous and multifaceted healthcare systems. Nations design and develop healthcare systems in accordance with their needs and resources, but their choices impact social and political dimensions as well as every governmental department, corporation, and individual, which they are built to serve. Currently many governments are struggling to contain the cost of reliable and equitable healthcare systems. The efficiency of the system is necessary to support the wellness of citizens as well as the economic and social progress of the country. Therefore we can consider healthcare as both a cost to taxpayers as well as an investment in the future. If we consider the risk dimension of healthcare, we can anticipate a spectrum of risk factors, each of which can become preponderant to the others at any point a time. Operational risk, economic risk, pandemic management, and right-time interventions are just a few of the critical risk considerations. But we must also consider public safety, medication shortage, lack of healthcare professionals, as well as inefficient management of health environments and associated research. 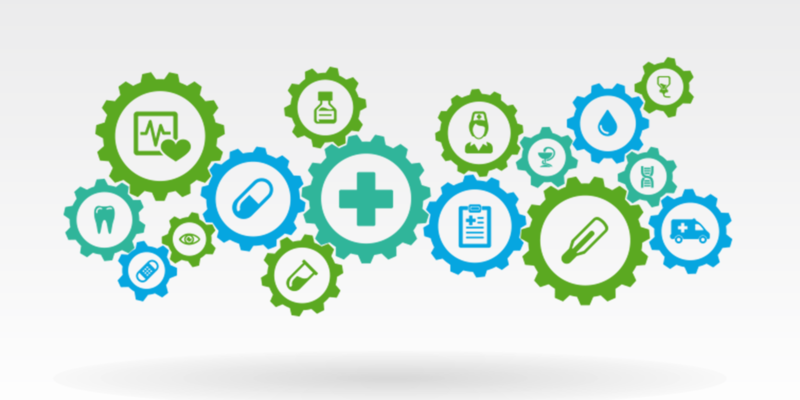 Over the last decades, several government sponsored healthcare mega-projects have been undertaken to add more automation to healthcare management systems. The scope of these projects has varied based on the country’s willingness to invest in the effort, but in each case the main objectives have been the containment of healthcare costs and improvements in the quality of healthcare services. So far, the results have been mixed. Any measurable program success is often tempered with considerable financial burdens and less than expected efficiency gains. From the management of patients, care infrastructure, medical records, and medical research to preventative and palliative care, the spectrum of contributing risk factors is wide and hampered by both static complexity (number of items and attributes) and dynamic complexity (dependencies, time series, case evolution, historical changes). There is no doubt that the impact of dynamic complexity causes a great number of healthcare transformation project failures. Project outcomes are typically marred by costs that are several times higher than originally planned and significant project delays, which then further inflate the overall costs of the change program. In general, these problems are created when dynamic complexity is ignored during the business analysis phase that precedes information technology system transformation plans. The inability to express dynamics using natural language, difficulties in gaining an end-to-end picture of system dynamics, variations in healthcare procedures and practices, and finally the lack of clarity in required care, prevention and speed of treatments versus the expected results, are major roadblocks in automating healthcare systems.